Assistive Technology devices are becoming more available than ever. Technology continues to evolve and further assist those caring for loved ones with Alzheimer’s. More capable than ever of understanding natural, spoken language, digital “personal assistants” can provide support to seniors and caregivers by proffering daily reminders, responding quickly to crises and communicating a wealth of valuable information. The records of daily requests are also a convenient way for family members to monitor their loved one’s basic activities and mindset. “Smart” software like Apple’s Siri, Microsoft’s Cortana and Amazon’s Alexa are voice-search enabled and always connected to the Internet. More than just fancy search engines, digital assistants use artificial machine intelligence in new ways to analyze data from all your online activities. By gathering information from your previous commands, your prior search queries, and the vast constellation of personal data shared across different Internet-enabled devices and platforms, they pick up on behavior patterns and preferences in order to simulate the human decision making process. To build a more comprehensive, immersive customer experience around the capabilities of the digital assistant, stand-alone units have entered the market as well. 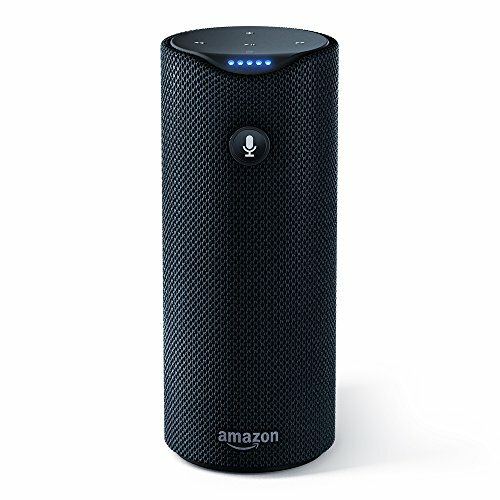 Amazon’s Alexa controls the “Echo” product: a cylindrical device with seven speakers that gives users hands-free access to all connected devices in the home. Once it’s turned on, the Echo is ready to respond to any simple verbal trigger. The intuitive capabilities of Alexa and the Echo device can be a major convenience for caregivers, saving them a lot of trouble across the board. 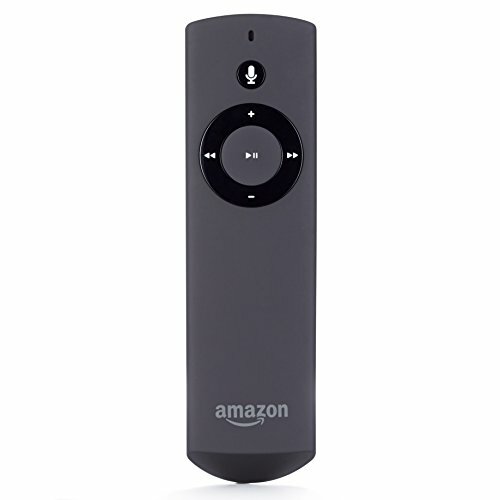 Interacting with the Echo through voice provides immediate results without any button-pressing. Questions like, “Alexa, what time does the movie theater close?” or, “what is the address of the nearest pharmacy?” will be answered right away. These digital assistants work with an ever-increasing array of Internet-enabled tools tools, making turning off your lights and changing the temperature easier and more convenient when you’re busy. This website and other resources can help you find out which devices pair with the Amazon Echo – and this list is expanding all the time. Home automation compatibility also opens the doors for these assistants to integrate with “smart” security systems , which can greatly help if an individual is still living alone or if their caretaker is away. For aging individuals with Alzheimer’s, the reminder capabilities that a digital assistant can provide help keep daily life on track. The simple verbal functionality doesn’t require users to learn difficult technology or use a keyboard. A digital assistant can even be a source of entertainment ; providing news, playing music or even telling jokes. Most importantly, family members outside of the home can track the real-time interactions with the virtual assistant to ensure that their beloved senior is doing well and interacting normally with the device. A senior can send his or her caregiver a text or email through the digital assistant, ask for shopping items, receive medication reminders, and call for help during a medical emergency. In a crisis, the reassurance that Amazon’s Echo will respond to the request, “Alexa, call 911!” is crucial. 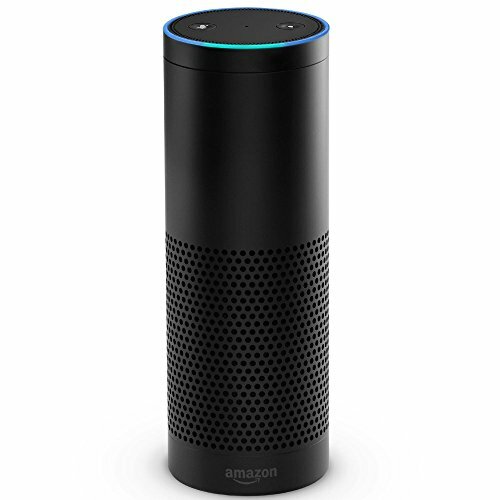 As a combination microphone system and speaker, Amazon’s Echo is ideal for individuals with Alzheimer’s and those who provide their care. Alzheimer’s disease impacts everyone in the family, and Alexa can take some of the communication burden off of families and caretakers’ shoulders. As the science of artificial intelligence continues to develop, more capabilities will be available to assist seniors and their caretakers with many basic aspects of daily monitoring and care. The unique capabilities of virtual assistants provide life-changing help for families, caretakers and senior citizens with early-stage Alzheimer’s disease. Reminders, to-do lists, music, conversation, communication and emergency assistance are all just a voice request away when senior citizens have a digital assistant at their beck and call. I would like an electronic copy of this Assistive technologies guide if you can send one please? The Technology Guide can be found at Amazon. Simply “Click” the photo and a link should take you there. I will double-check to be sure that it is still working. Thank you for visiting and requesting this info.